CHECK OUT OUR NEW VEGE DRINKS! Granola it is an extremely crispy, nearly cookie-like combination of baked cereals. GO ON! 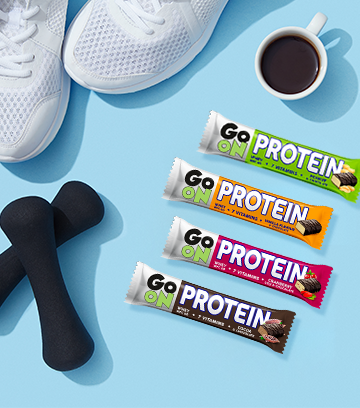 protein bars are delicious stacks made for athletes and physically active people. 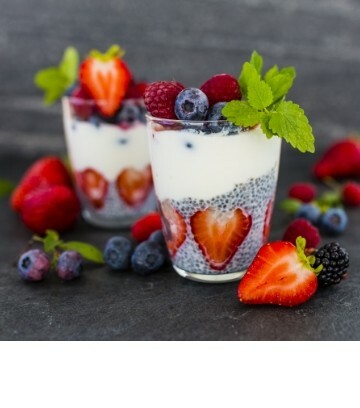 Exceptional taste and nutritional values come straight from nature. 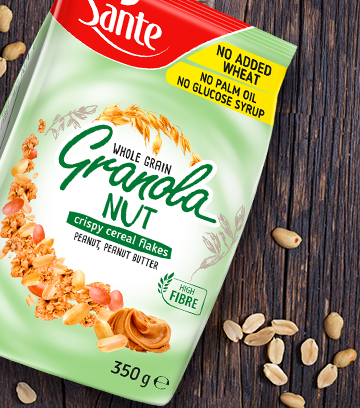 Each bar contains 57-62% wholegrain oat flakes, without added wheat. 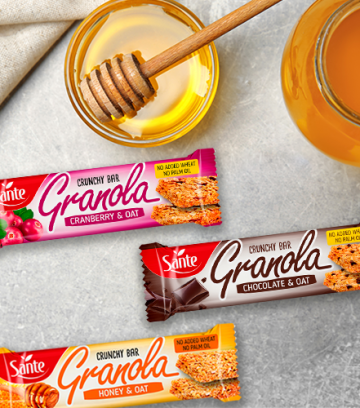 Tasty and nourishing multigrain biscuits, perfect for breakfast. 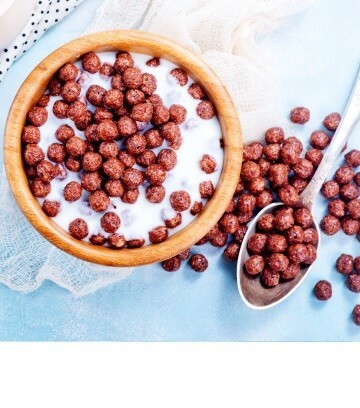 Smart Team are multi-grain breakfast cereals made from natural ingredients. They are available in five tasty flavours and shapes. 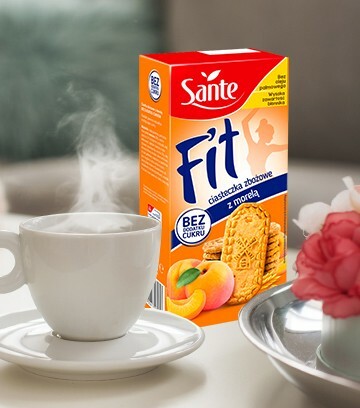 Sante provides top quality products which have beneficial impact on the customersa�� health and wellbeing. 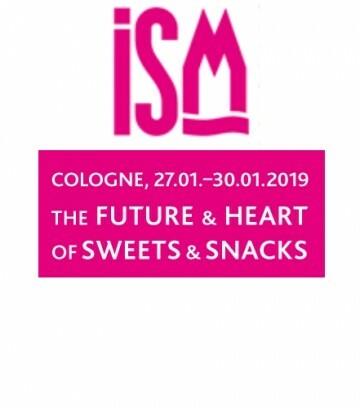 Between January 27 and 30, we will be exhibiting at ISM in Cologne, Germany. Hall 11.2, booth number B-083, Koelnmesse GmbH Messeplatz 1, 50679 Köln, Germany. Please come and meet us! High quality is part of our philosophy. 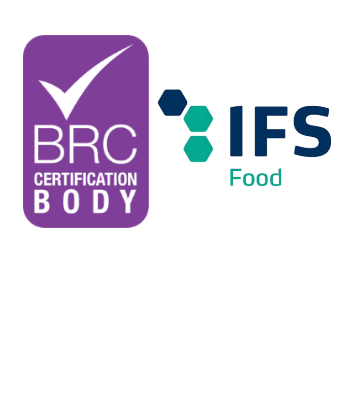 Our products comply with the highest food safety standards approved by certifying audits. 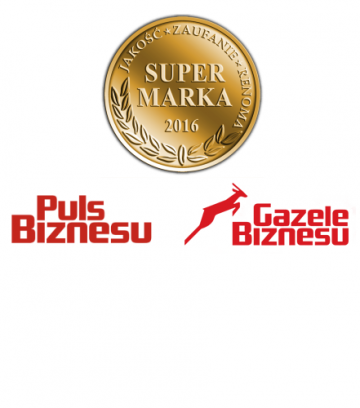 Here you can find our latest success stories and most awarded products. Get latest news and products information in a very nice human readable email message. I hereby grant my consent to process my personal data in order to receive advertisement and trade related information. Sante A. Kowalski sp. j. with the registered office in Warsaw, ul. Jagiellońska 55a is an administrator of your personal data. You are authorized to access and modify your data. Providing the personal data is voluntary.